AirPcap Classic is the first open, affordable, and easy-to-deploy WLAN (802.11b/g) packet capture solution for the Windows platform. Building or securing wireless networks can be a challenge when your tools don't understand radio waves. 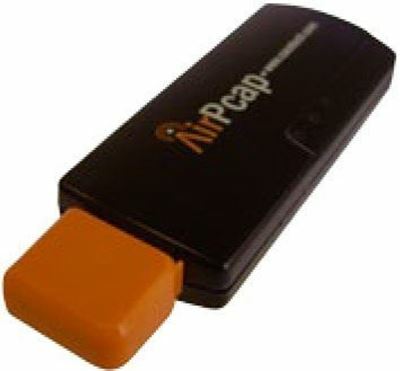 AirPcap Classic enables troubleshooting tools like Wireshark to provide information about wireless protocols and radio signals. AirPcap Classic gives you the power to capture and analyze low-level 802.11b/g wireless traffic, including control, management, and data frames on your Windows workstation or laptop. Per packet information is also available, such as power, hardware timestamps (in microseconds), and receive rate. AirPcap Classic provides industry-leading capability to simultaneously capture on multiple channels. When monitoring on a single channel is not enough, multiple AirPcap Classic adapters can be plugged into your laptop or a USB hub and used to capture traffic simultaneously on different channels and deliver the data as a single stream for monitoring and analysis. Ready to Power Your Application!